This is to inform you that the public comment period for the Canada-Ontario Draft Action Plan for Lake Erie has been extended by an additional 15 days. The new deadline to submit comments is Wednesday, May 24, 2017. Please submit your comments through Canada’s engagement platform www.letstalklakeerie.ca or Ontario’s Environmental Registry www.ontario.ca/EBR. We look forward to your comments and working with you to develop the Action Plan for Lake Erie. • Anything else you would like to tell us, or ask about the Great Lakes! As always, your details will be treated as privileged information and will only be used to distribute our Great Lakes information to you – our stakeholders. These distribution lists are never shared outside of Environment and Climate Change Canada. La présente vise à vous informer que la période de commentaires du public pour l’ébauche du Plan d’action Canada-Ontario pour le lac Érié a été prolongée de 15 jours. La nouvelle date limite pour soumettre des commentaires est le mercredi 24 mai 2017. Veuillez nous faire part de vos commentaires par l’entremise de la plateforme de participation du Canada au www.parlonslacerie.ca ou du Registre environnemental de l’Ontario au www.ontario.ca/EBR. Nous avons hâte de lire vos commentaires et d’élaborer le Plan d’action pour le lac Érié avec votre aide. • tout autre renseignement que vous aimeriez nous indiquer ou toute question que vous aimeriez nous poser au sujet des Grands Lacs! Comme toujours, vos détails seront traités en tant que renseignements privilégiés et ne seront utilisés que pour vous diffuser – nos intervenants – des renseignements sur les Grands Lacs. Ces listes de distribution ne sont jamais transmises à l’extérieur d’Environnement et Changement climatique Canada. 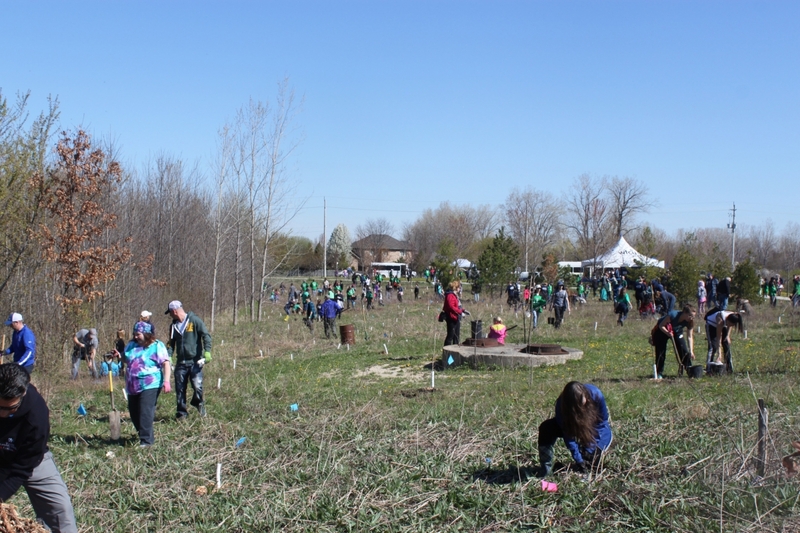 On Sunday, 23 April, the Windsor-Essex community celebrated Earth Day 2017 by planting 2205 trees and shrubs. We moved to a new location this year in the Little River Corridor Park. 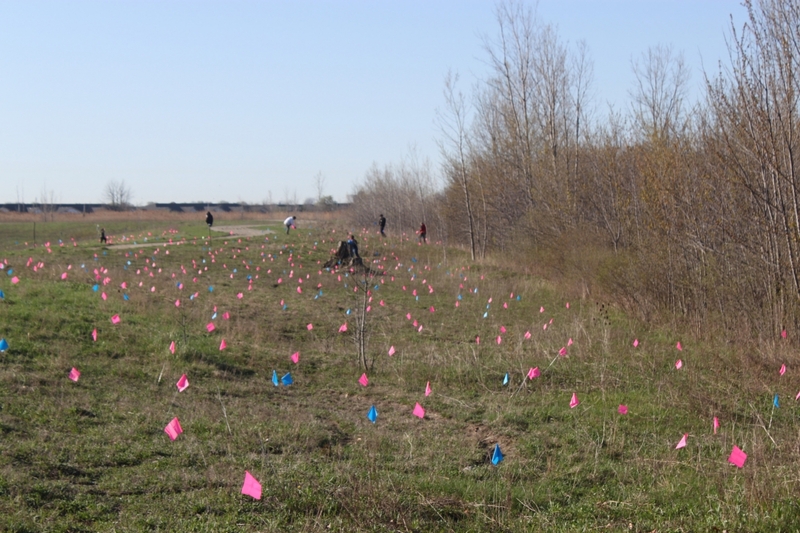 Planting took place on both sides of the Ganatchio Trail south of Wyandotte Street East. Over 1,000 accurate community volunteers participated in this event! Volunteers worked from 10 a.m. to 12 noon. 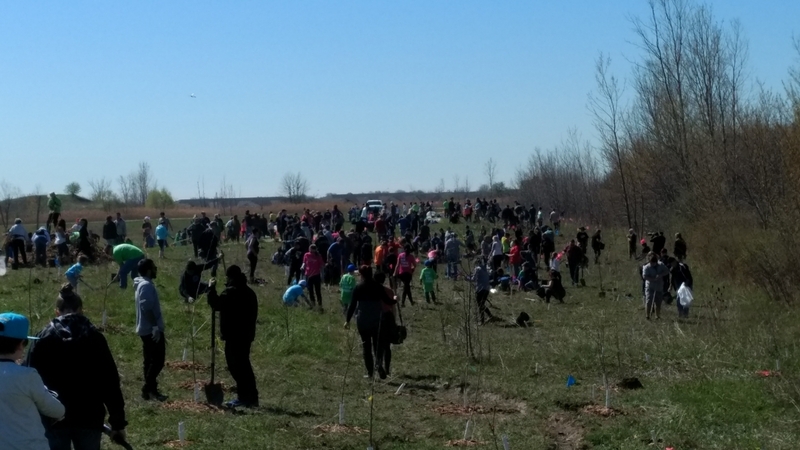 Mother Nature provided an outstanding day for planting trees: sunny with a clear, blue sky and mild temperatures over the morning. 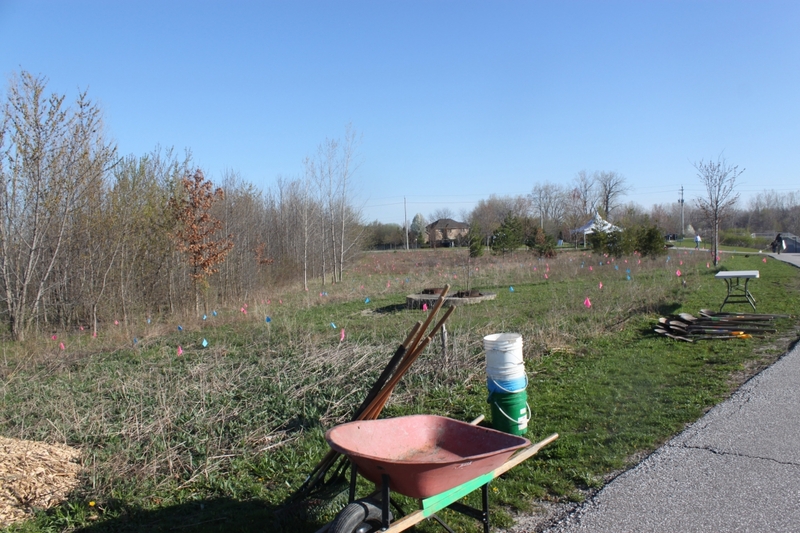 In other words, it was a wonderful Spring day to plant trees and shrubs! 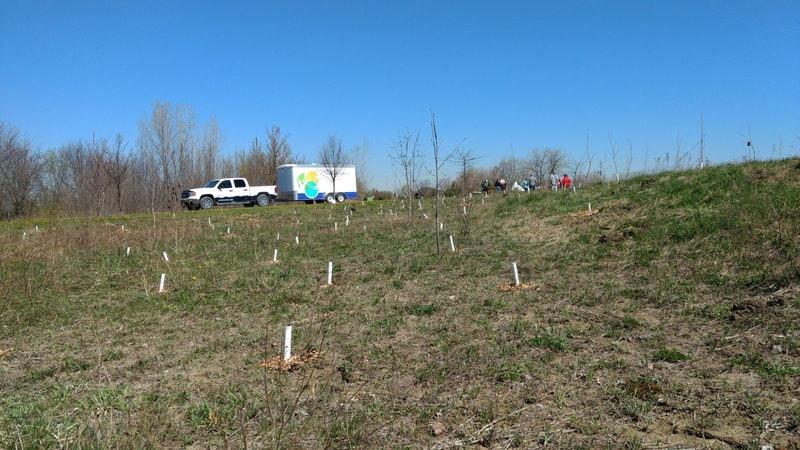 The species of trees we planted included: White Oak, Pin Oak, Hackberry, Red Oak, American Elm, Burr Oak, Sycamore, Swamp White Oak, Silver Maple, Shumard Oak, Tulip Tree and Eastern Cottonwood. 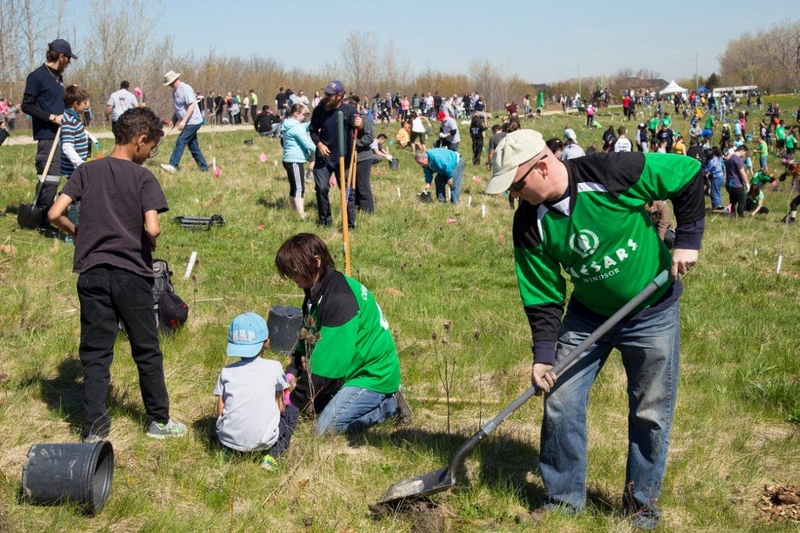 Little River Corridor Park, between Riverside Drive and McHugh Street, has now benefitted from the planting of 15709 trees and shrubs since May 1990. The recreation trails throughout the area will permit people to make the much needed connection with nature; they may even be lucky enough to experience the different species of wildlife that call this area home. 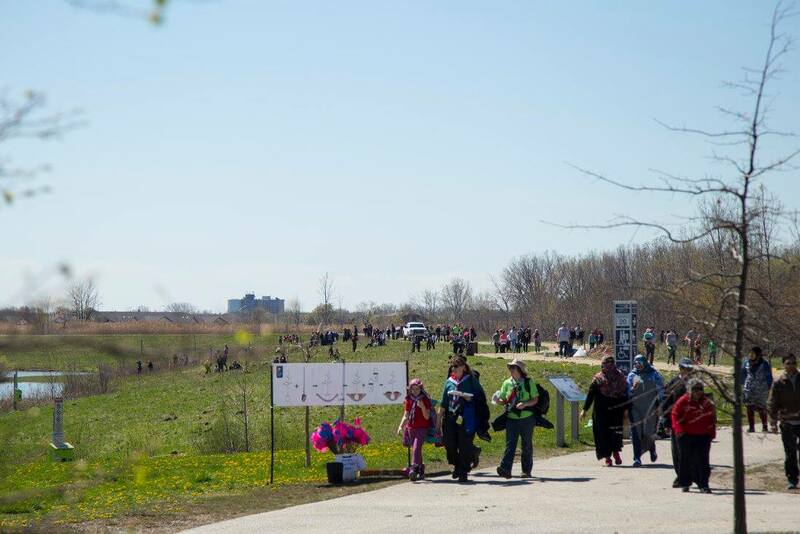 Planning for the event was done by the Essex Region Conservation Authority, Detroit River Canadian Cleanup Committee and the City of Windsor. 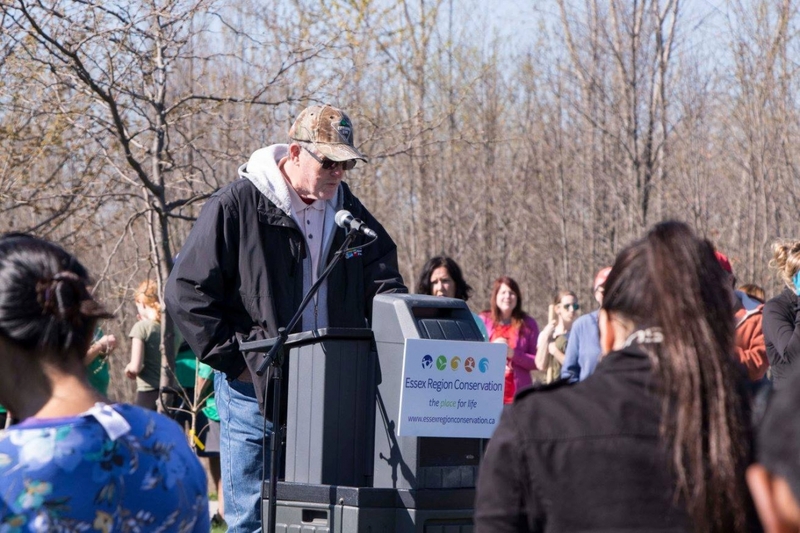 DRCC funded the trees via the Ontario Ministry of Environment and Climate Change. 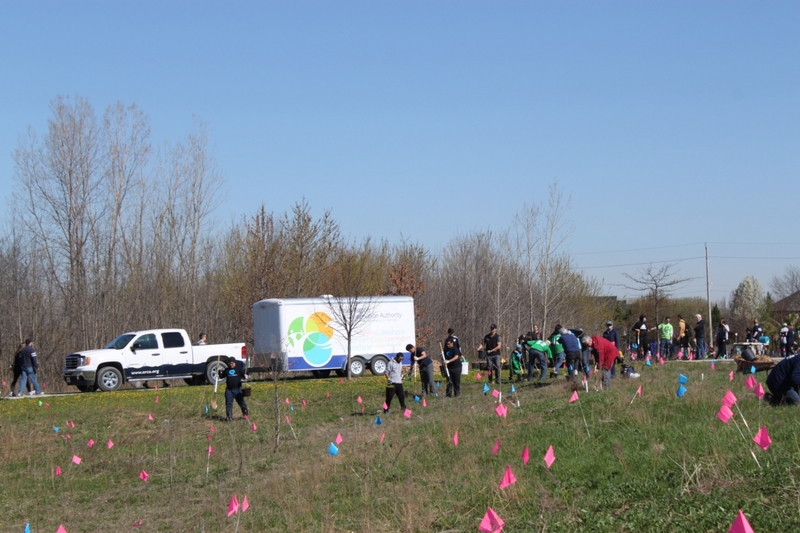 Event organizers appreciated the efforts from the 15 How To Crew volunteers who were an incredible force for planting trees. Whenever people do something good to make the Earth a better place to live, they can go home satisfied that they have made a difference. Event report written by Ian Naisbitt, the Chair of Little River Enhancement Group and the Education and Public Involvement Group with the DRCC. 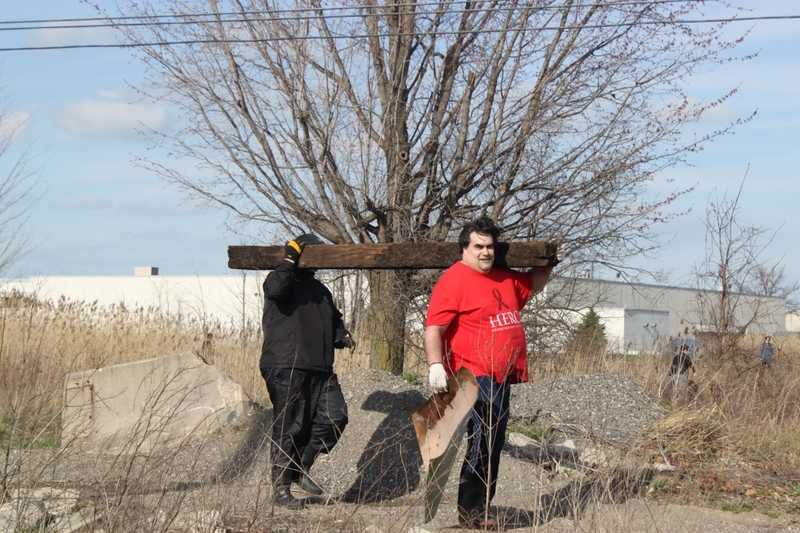 On Tuesday, 11 April, over 50 volunteers participated in the cleanup event. Mother Nature cooperated this time: mix of sun and cloud (mostly cloud), with daytime temps at 18 C, wind southwest 20 km/ h and gusting to 50 (wind chill)! Overall, a wonderful day for a cleanup. Our eager volunteers cleaned up from 5 to 7:00 p.m. 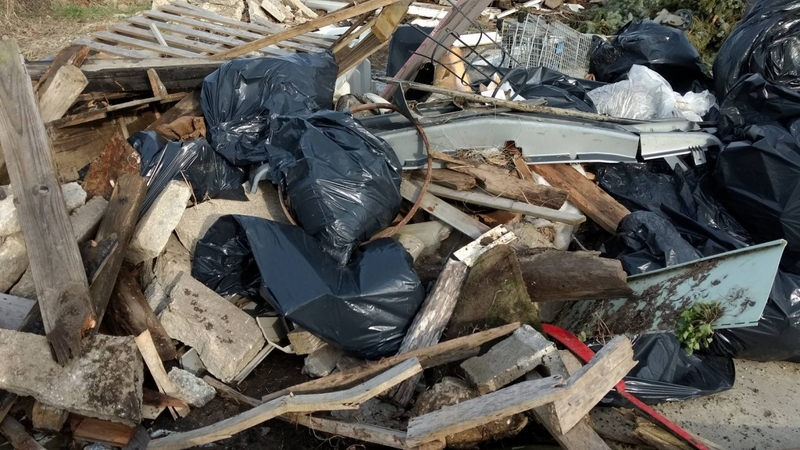 This was the 6th time community volunteers have cleaned up rubbish from the Twin Oaks area. 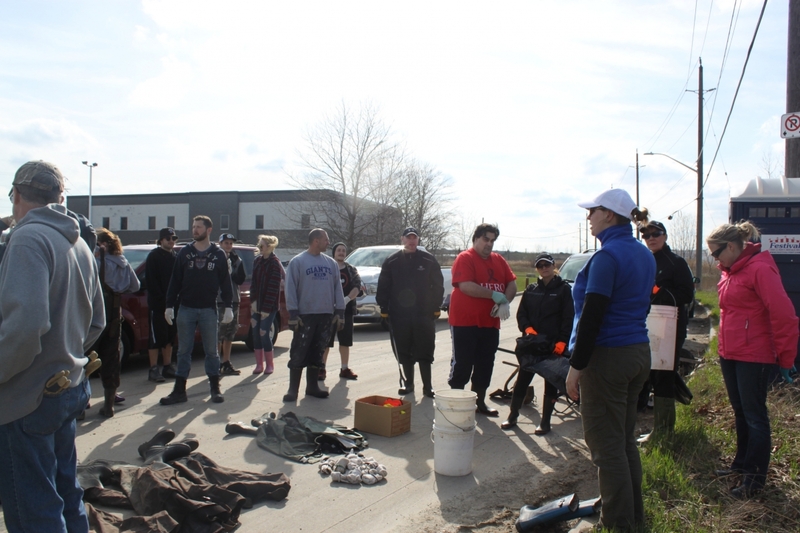 Along with the CodeGreen group, there were volunteers from the City of Windsor, the Detroit River Canadian Cleanup Committee, Computers for Kids, Essex County Nature and the Little River Enhancement Group. 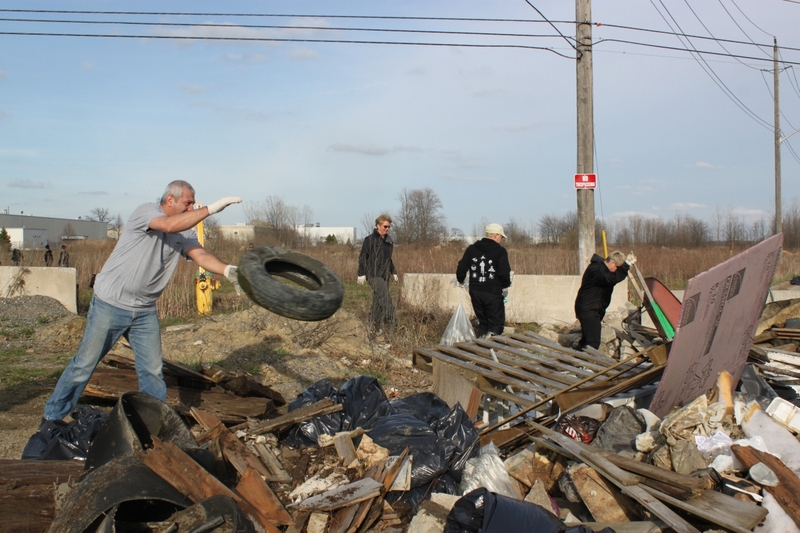 This vigorous working group collected an impressive pile of garbage. The parkland looks a lot better because of our efforts. We always try to record our wildlife sightings as well: Turkey Vulture, Mallard Ducks (nesting), Eastern Cottontail, baby mole, American Robin, Mourning Dove, family of mice, Canada Goose pair and an unidentified frog that jumped into the standing water of a wheel rut. Our partnership appreciates CodeGreenfor mobilizing their volunteers and helping to coordinating this cleanup event. 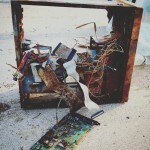 They have expressed an interest to clean up the Hawthorne site again in the autumn. We look forward to working with them in the future. 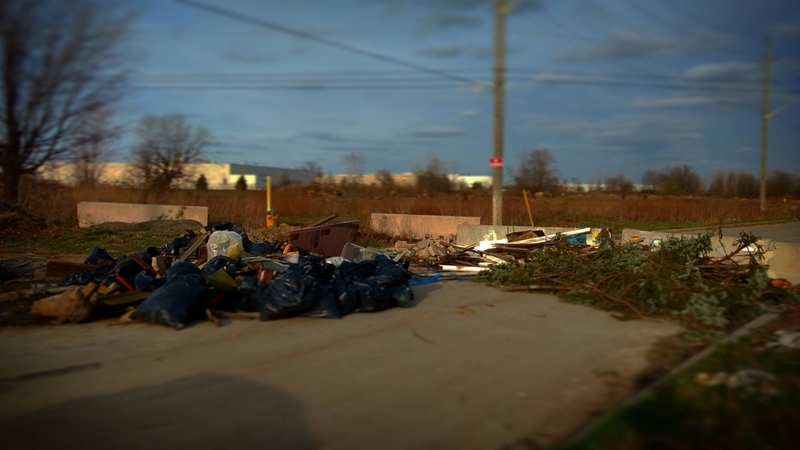 Also, we would like to express a big thank you to the City of Windsor/ Parks Division for hauling the garbage away; placing the cement barriers and assisting our group with the cleanup. 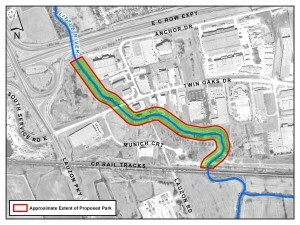 Together, our partnership will endeavour to create a natural area that will improve the ecosystem health of the Little River and Detroit River Watersheds. Event report written by Ian Naisbitt, the President of Little River Enhancement Group and the Chair of the Education and Public Involvement Group with the DRCC. Here’s your opportunity to start some spring cleaning! 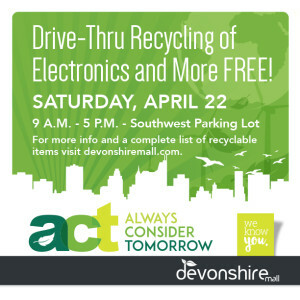 Simply visit the drive-thru drop-off located in the Devonshire Mall parking lot, 9am-5pm. 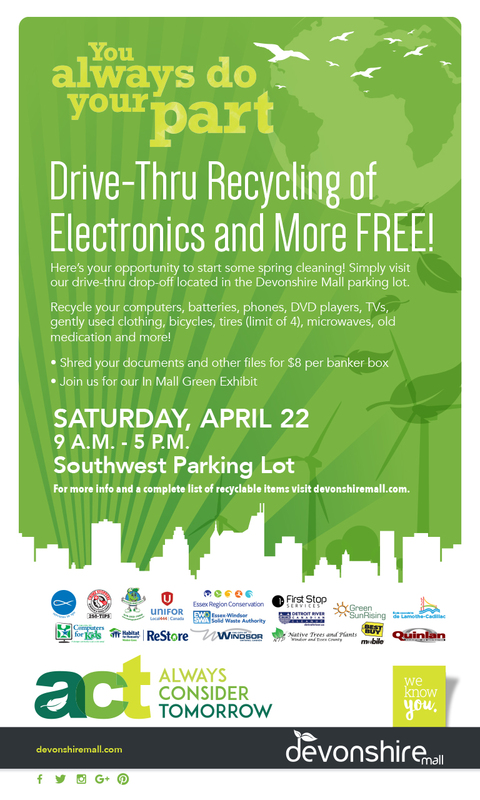 Recycle your computers, batteries, phones, DVD players, TVs, gently used clothing, bicycles, tires (limit of 4), microwaves, old medication and more! And be sure to visit the environmental displays in the mall, including DRCC, ERCA, City of Windsor, and Essex Windsor Solid Waste Authority! Download the list of recyclables that are accepted at the event here and a copy of the event flyer to share! Windsor – Caesars Windsor’s CodeGreen team of employees will partner with the Detroit River Canadian Cleanup, the City of Windsor and the Little River Enhancement Group to remove litter along a portion of the Little River watershed near the Twin Oaks industrial complex on Wednesday, April 4 from 5pm – 7pm. Caesars Windsor’s CodeGreen is a comprehensive environmental strategy that focuses on critical issues of energy, waste, water and carbon management throughout the company’s resorts. CodeGreen teams at each property implement grassroots programs aimed to enhance energy efficiencies, reduce impact on natural resources and improve waste streams. 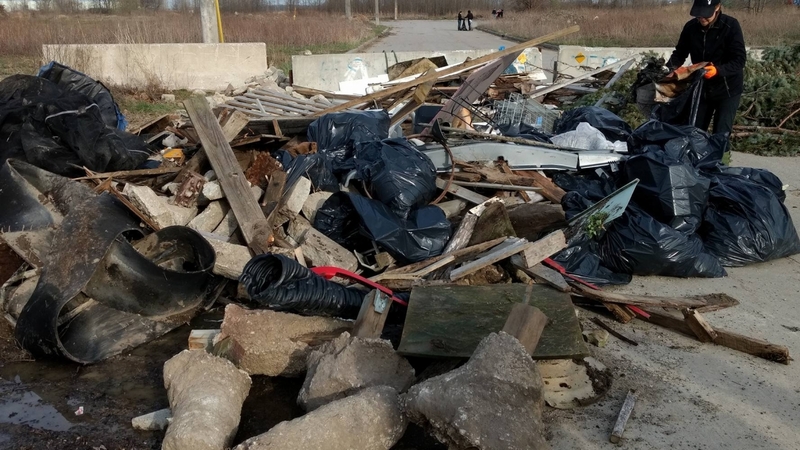 The Detroit River Canadian Cleanup implements the Remedial Action Plan on behalf of a community-based partnership working together to protect, restore and enhance the Detroit River ecosystem. 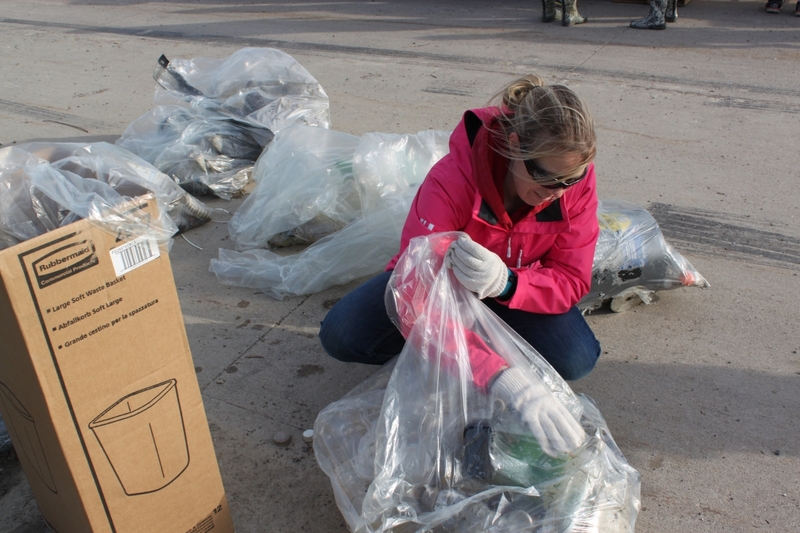 The federal, provincial and municipal government, local industries, scientific researchers, local environmental organizations and many dedicated citizens are key partners and play an important role in the cleanup process. 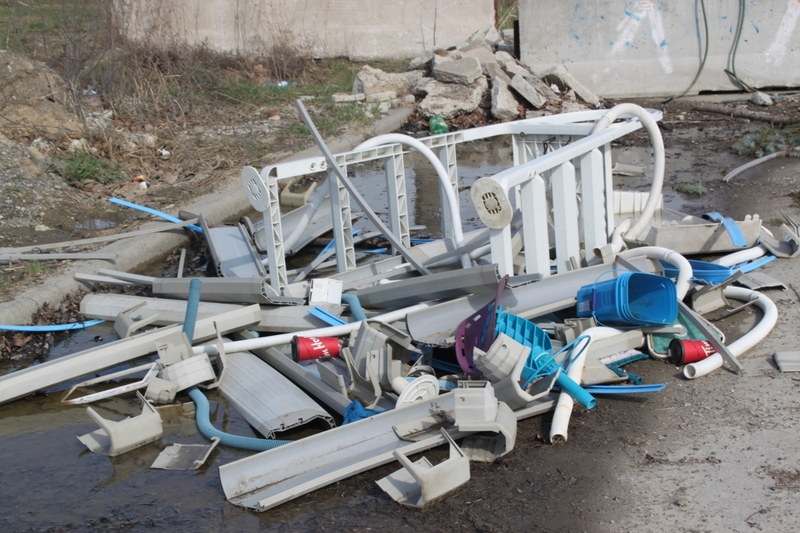 The DRCC’s member organizations provide leadership in identifying partnerships and funding opportunities to support and implement clean up goals. The media are invited to attend. Attachments: Event site Map and Parking at Munich Court.